Losing weight is not hard to do–on paper. All you have to do is eat less calories than you burn. Eating fewer calories is easy, all you have to do is stop eating sugar, but you have to eat something. You don’t get to just stop eating carbohydrates and replace it with nothing, because you need a certain number of calories to sustain you. Not eating sugar is really a bit of a trick to pull off in the US these days. Ages ago when the government decided to begin giving us nutrition recommendations (1984 to be exact) they recommended that we reduce our fat consumption. 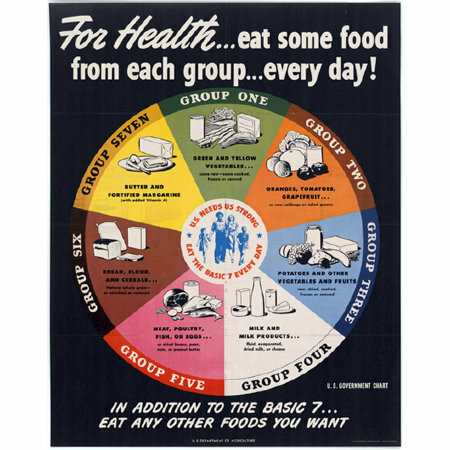 After that the food industry went to great lengths to reformulate most processed foods to be lower in fat, and specifically saturated fat like butter or lard. Lower fat foods are also lower calorie foods so to make up for lost flavor and lost calories they substituted carbohydrates where the fats had been. To find foods in the US that contain no added sugar is just about impossible. Your low fat milk is higher in sugar than your whole milk. Eighty percent of all of the processed foods in your local grocery contain added, hidden sugars. The labels on those foods will not show you the Recommended Daily Allowance of sugar per serving contained inside the package. It’s not that nobody knows what the RDA of sugar is in the product, but that just about every processed food that is ready to eat will contain one hundred percent of your sugar RDA. Eat one yogurt with breakfast in the morning and you are done with sugar for the day. Eat like the average American and you will eat over four times more sugar every day than is recommended. Bet you didn’t know that. Not only did the food industry take out the fat and put in more carbs, but the meat industry has gone to equally great lengths to make their products ‘healthier’ by creating leaner animals to turn into our table meats. Gone are the twelve hundred pound lard-giving hogs, because Americans now don’t cook with lard. Lard is almost a dirty word, even though cooking with lard is now shown to be the safest fat you can use to cook with. No cooking oil is as safe, because if you don’t cook exactly right with them, higher than recommended heat will turn some of your canola oil into TRANS FATS, which are now proven to cause heart disease. If you ever reuse your cooking oil (like they do at all restaurants) then you are guaranteed to be cooking with trans fats. Lard, suet and tallow do not react the same way chemically. They are actually heart safe, and a great place for you to get the extra calories that you need if you are cutting out sugar from your diet. Actually not eating sweets–cakes, cookies, candy–is a very hard thing to do if you don’t eat enough calories on a daily basis. I am trying very hard to cut all added sugar out of my life. By that I mean that when we want to eat a sweet treat for desert that ought to be the only sugar I eat all week long. That is the ideal. Actually putting that into practice is quite a bit harder than that. First and foremost, I have to eat breakfast to make that work. If I don’t eat two eggs and a side of bacon then the snacks that men bring to work to share become irresistible. Eat one christmas cookie and you will eat another. Sugar eating at break in the morning sets a bad tone for the rest of the day. While I am not back to ‘eating sugar’ because I had some home made fudge at nine o’clock in the morning, I have eaten the entire week’s worth of sugar budget in one day if I have another piece of fudge before I go home. Second, I have to not eat any processed foods all day to be sure that I didn’t eat any sugar. If I could just not eat crackers with my soups, potato chips as an ‘appetizer’ after getting home from work, then I could be sure. If I never ate at a restaurant, where I don’t control ingredients or cooking methods, then I could be sure. Third, I have to recognize the triggers to my sugar addiction. There are hundreds of food commercials every day that are going in the background, and they affect my desires even if I am not watching them directly. Seeing the vending machine at work makes me think about the cookies and candy within, I actually consider getting something, even if I don’t act on it. The only time I am not tempted by sugary foods is at home, because it is a sugar free island. We don’t buy processed foods, our cabinets have barely any boxes or bags in them. We don’t buy soda (but my son does, his stash is in the basement, out of sight). To eat anything sugary requires a plan and a trip to the store to get the ingredients. We do plan to eat sweets, and we do go to the store to get them, but doing it this way makes it harder to impulse eat them, and keeps our weekly sugar consumption well below the national average. Eating like this does not make me lose weight fast. I don’t want to lose weight, anyway. Eating like this also does not make me gain weight, which is what I am really after. Americans are mostly overweight, but it takes years of eating the wrong foods to get there, so by my reckoning it should also take years to shed those same pounds. Like I said at the top, it might be simple, but it’s sure not easy. This entry was posted in Health, Living and tagged breaking addictions, breaking habits, carbohydrates, carbs, diet, losing weight, sugar detox, sugar-free, truth in labeling. Bookmark the permalink.